By now, you may think you know everything there is to know about polyurethane and the many ways this incredible polymer touches our daily lives. But are you familiar with how it originated? 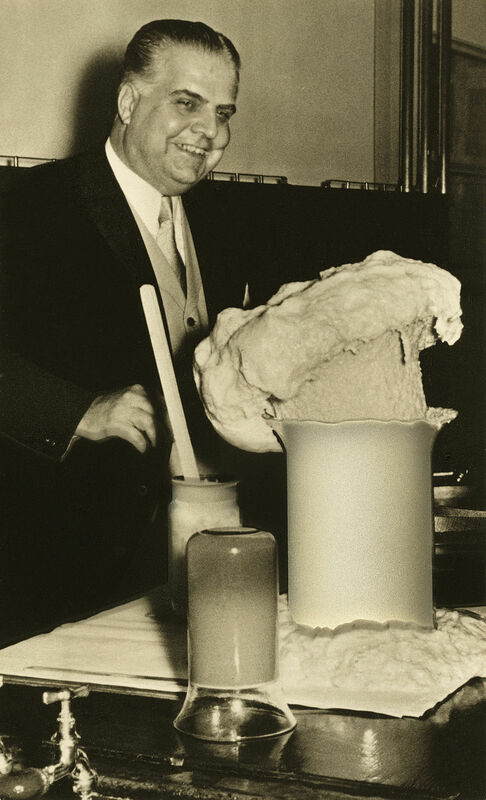 It all started in 1937 with Dr. Otto Bayer. The German-born chemist came across the polymer when he was looking for a compound that could be used as a substitute for rubber, which at the time was expensive and hard to obtain. The versatility of polyurethane and its ability to substitute for scarce materials spurred numerous applications. In the years following its initial discovery, the polymer started showing up everywhere — first as a coating for aircraft and later as an adhesive material for rubber, metal and glass. By the mid-50s, polyurethane was ubiquitous. It could be found in coatings and adhesives, elastomers and rigid foams, and it was widely available for commercial use. Today, polyurethane is a global $86.6 billion industry, employing more than 270,000 people in the U.S.
For his work, Bayer was honored at the highest levels of his profession and is considered today to be the father of polyurethane. When Bayer passed away in 1985, he had lived to see his discovery implemented into daily life and improving the lives of his fellow man in an incalculable number of ways.